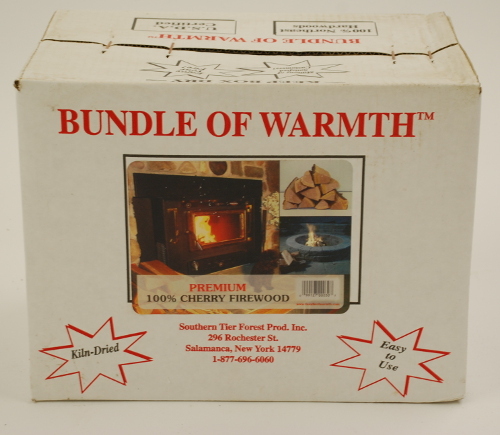 1 cubic ft. box of 100% cherry firewood for and cooking or fireplaces. We can our cherry wood nationwide with our USDA certification. Great for cooking inside or out, as well as burning in a fireplace for an aromatic fire. 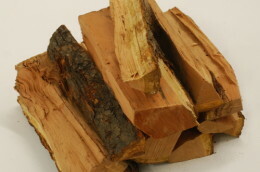 Cherry firewood burns hot and has a low flame, similar to apple. That combined with its mild-savory fruity flavor makes it a magnificent choice for cooking. Cherry wood is simple to light and burns with a blue flame. Wild cherry trees grow in the eastern United States and cherry wood is known for its appealing color and aroma. The rich colors and grain, are what set’s the cherry wood apart from others. 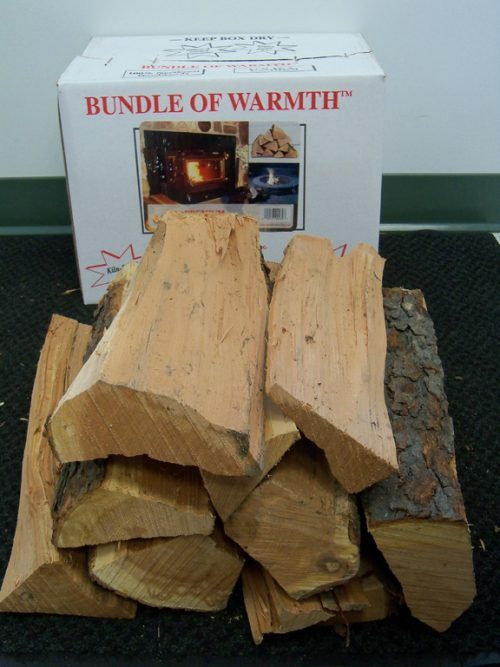 Bundle of Warmth in southwestern New York has cherry firewood for sale. They ship their cherry wood nationwide in 1 cubic foot boxes multiple boxes on pallets. You can order 1 box and 3 box orders online, but you can increase the quantity for any size orders. Best Used for Smoking: Chicken, turkey, fish, ham. Cherry wood will produce 20.0 million BTU’s per cord. 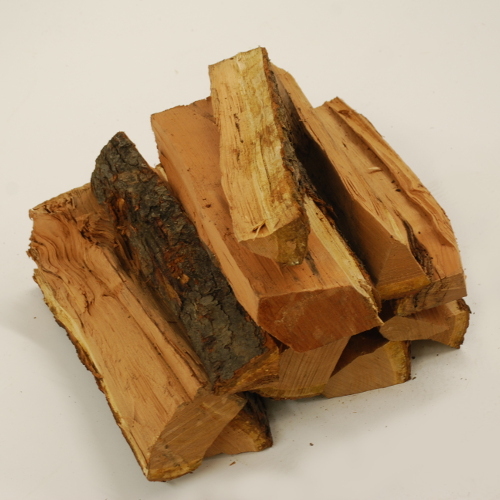 The firewood is known for its pleasant aroma when burning making it a popular choice for a fireplace. Cherry does seem to spark more than other hardwoods which could lead to issues when burnt in an open fireplace. Use a fireplace screen to help prevent sparks from escaping. Cherry is easy to split and supplies adequet heat when compared to oak, maple or beech which are considered quality firewood choices. While it may not be the top choice in the firewood rankings, cherry can supply you with a beautiful, warm fire that also smells terrific. Firewood was delivered on time perfect from start to finish, they also have pallets avaiable for deliver, will be getting one soon. The test box of this cherry wood exceeded my expectations. Great for smoking my baby back ribs. Great smoke flavor without the bitterness. I would absolutely recommend this product. This cherry wood is kiln dried, so it burns hot and long. The cherry wood definitely comes out in the meat. It has mild and fruity flavors, perfect for smoking meat and poultry. I buy every year for the 4th of July cookout at my house. Received the firewood, and quite pleased with the quality and volume. Also a good job by the driver for dropping it on a narrow driveway, while not damaging the neighbours plants. Thanks!